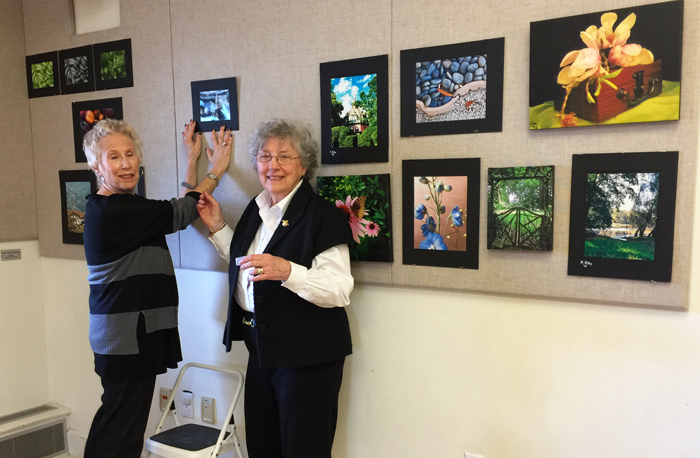 The exhibition, “Home Grown,” art by the members of the Garden Club of Irvington, was on display at the Irvington Public Library through November 28. The show featured collages, watercolors, photography, prints, and needlework by Bunny Bauer, Barbara Defino, Nora Galland, Harriet Kelly, Edna Kornberg, Cathy Ludden, Louise Petosa, Dori Ruff, Renee Shamosh, Ellen Shapiro, Amy Sherwood and Dongkai Zhen. 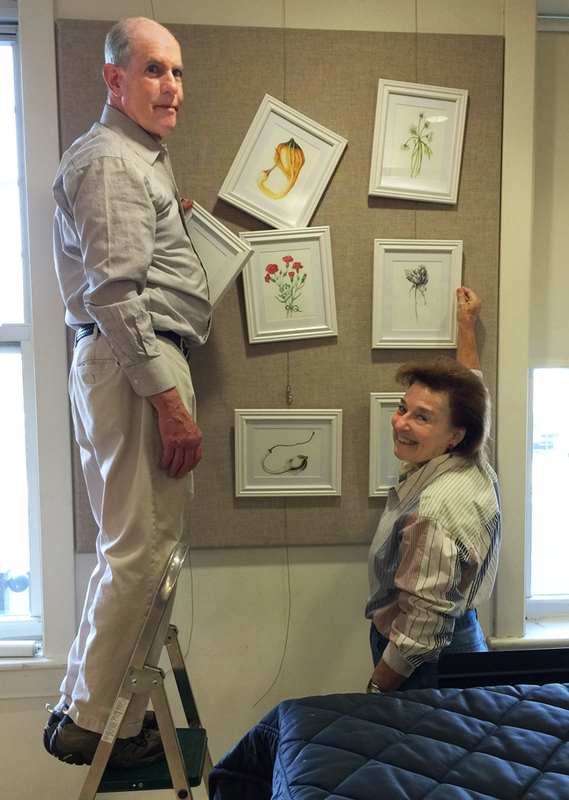 Helpful husband Al Galland helped Nora hang twelve of her beautiful botanical illustrations. 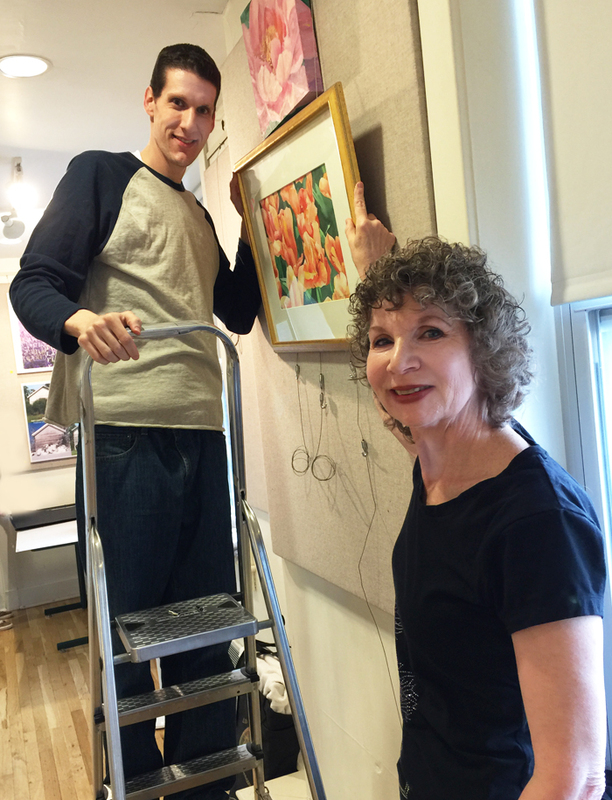 Adam Shamosh helped his mom, Renee, with her paintings. 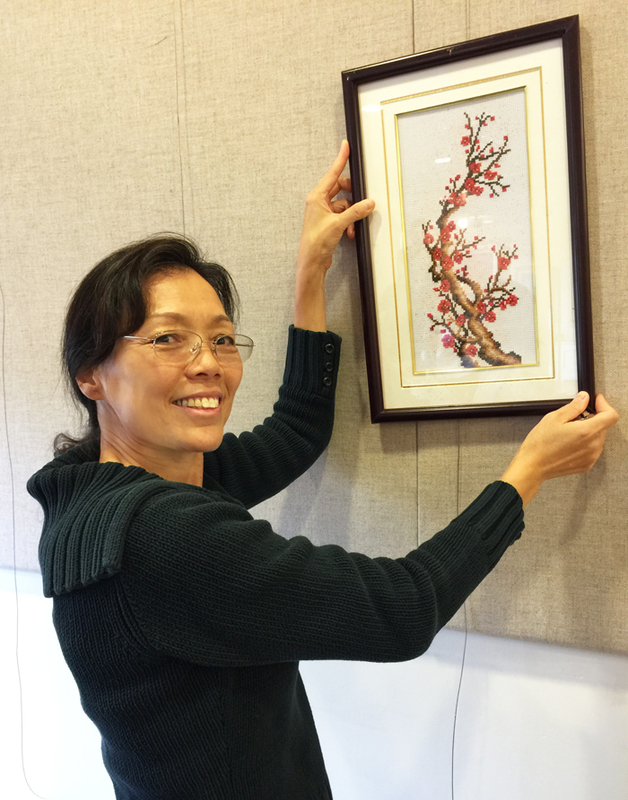 Donghkai Zhen had four exquisite needlepoint pieces in the show. Edna Kornberg and Harriet Kelly of the photo committee decided how best to arrange their work. 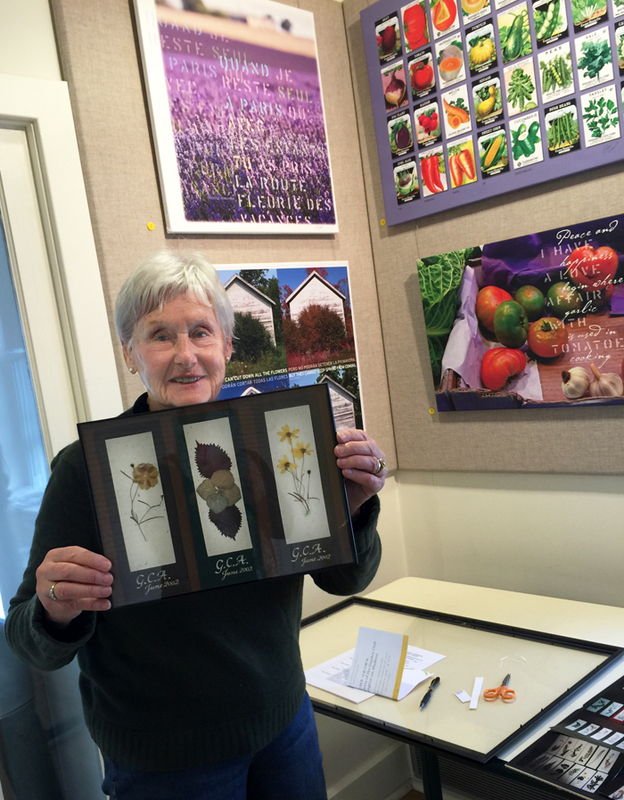 Bunny Bauer shows a collage with three of the many pressed-flower bookmarks made by GCI members for a 2002 Garden Club of America Zone Meeting. In the background are photographic and typographic prints by Ellen Shapiro. If you are interested in any of the works shown here, please contact us through this site.